Millions of golf enthusiasts and Tiger Woods fans daydream of being on the golf course while stuck at work. 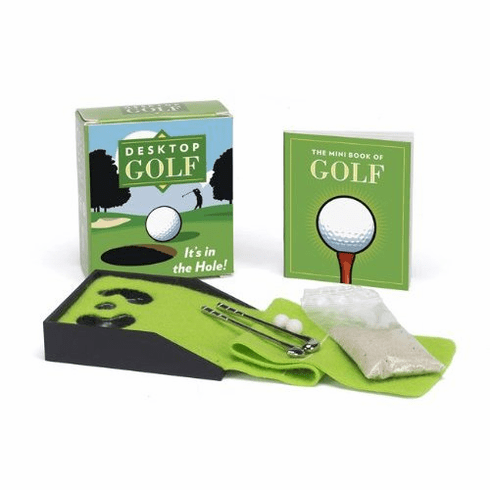 A perfect gift for Dad on FatherÕs Day or anyone who loves golf, this kit will help relieve some of that cubicle-induced anxiety by allowing you to get in a quick round right on your desktop. Kit includes two golf balls, two clubs, a green felt fairway, a packet of sand, and a 32-page book of fun facts and the rules of the game.